Many doctors may view nephrology as a remarkable kind of intensive care. A patient presents in an acute crisis, close to death. Immediate transfer to the renal team follows, then the magical effects of dialysis, and finally recovery. Nephrology is not for normal doctors. 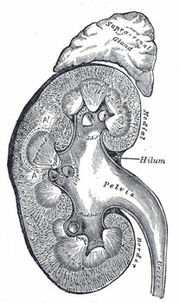 The kidney is for exceptionally skilled specialist physicians. Unlike fish, mammals do not seem to have renal regenerative capacity. The silence of the kidney leads medicine to overlook its importance. This lack of awareness means that immense opportunities to prevent not only renal, but also cardiovascular, diseases are being lost. Protect the kidney, protect the heart. The Lancet.